Folks, I won't bore you with a long article this GW. My Sess captain/differential choice didn't pay off in GW14 and yes I should have stuck with safe old RVP as cpt. For GW15 I have decided to sell Hazard for Walcott, due to the reasons stated below. He may not be at Arsenal next season, but I am sure he will sign off in style. 27+ FPL points in his last 3 matches conveys his talent. 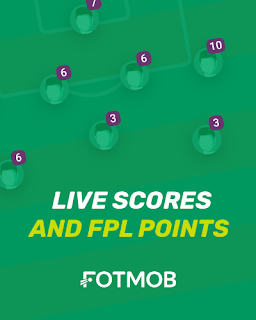 Only owned by 2% of FPL Managers - Differential! Ok folks, guilty as charged, I shouldn't have sold Defoe! Murphy's law and all that. To be honest it was a low scoring GW and I got lucky to score higher than the average and rise in the rankings. You may be astounded as to why this post is going out now, if you haven't already realised, GW 14 starts tomorrow! If I am not mistaken, Sessegnon operates in the hole behind the striker. He is capable of both scoring and assisting. Despite having a barren spell for most of the season he has finally hit some form. 1.4% ownership (differential), good upcoming fixtures and his proven attacking pedigree are the reasons why I signed him. I was gutted that Valencia was sidelined last GW, despite buying and championing him. He probably won't play this GW either, but just in case, I have kept him in my starting XI with Sterling as the auto-sub. Other than that, I have subbed Riise (facing Chelsea) in place of Davies (at home to WBA). I expect neither to keep a clean sheet, but think Davies may have a slightly better chance than Riise. I have decided to captain Sessegnon due to the potential rewards available if he succeeds, with RVP demoted to vice-captain after his fail against QPR. At £7.3M he won't be listed any cheaper! Sunderland are due a few more goals and the next few GWs sets up the perfect opportunity for Fletcher to achieve that. He is only owned by 5.3% of gamers which almost makes him a differential. Moreover, GW 16 in particular stands out as a bonus due to it being a DGW for Sunderland. In my estimation Valencia will start United's upcoming league matches but could be subbed off during the second half of matches to allow game time for Giggs or others. At the very worst Valencia will be used as super-sub which isn't too bad, but I think he is more likely to start and capitalise on the upcoming fixtures. Valencia is more likely to assist than score. Surprisingly it is the first time I have ever owned him. I didn't pick him last season when he had a good run of games, opting for Nani instead. Valencia is currently owned by 3.4% of gamers, which in my books makes him a differential. Captaining Van Persie v QPR is a no brainer despite his fail v Norwich last week. My vice captain is Valencia. At £8.6M he is definitely a bargain! I have only made one change this GW. In doing so I have saved £0.5M, with £2.2M in total banked. I sold the injured Vorm for Ruddy. This move may come as a surprise, but he has kept 4 clean sheets (joint 2nd best). I intend to have him as a back up to Begovic but may use him as my first choice keeper in GW 15 (Home - Sunderland) and GW 17 (Home - Wigan) respectively. I don't intend to make any changes to my goal keeping combo till at least GW 20. With my other spare transfer I was very tempted to shop around for a striker to replace Defoe. But then realised that GWs 13 and 14 are only separated by two days, which could result in players being rested and the transfer being wasted. Moreover, My 5 midfielders seem to have good upcoming fixtures this GW and with Defoe being a doubt I thought it best to go 3-5-2 and give them all a run in the first team. On a side note, I was recently reminded of an old FPL ace transfer tactic - The Differential. I will explain more about it in my FAQs page shortly. But I think now is the time to shop around for differentials as FPL teams look more and more similar. 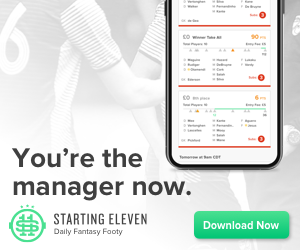 Narrow margins will be the difference between you winning your private league or finishing mid-table, thus look out for Premier League footballers that are not owned by many! Ok folks, I admit I had a bad GW10 and shouldn't have left Fellaini on the bench. However, that doesn't warrant panic changes. In fact I have bought no reinforcements for GW 11 as I would prefer to have a free transfer at hand for GW 12. The reason being there will be international football in-between the next two GWs and I would prefer to have a free transfer at hand in case of injuries. Fellaini has been an enigma for me this season. When I play him he doesn't do well, when I bench him he does do well. Ouch! I am hoping to buck that trend by playing him at home to Sunderland. Not only that, but he is my vice-captain. Sterling loses his place and is demoted to sub 1 as he faces Chelsea at home. Aside from that Davies and Demel swap places on the bench. My captain for Gameweek 11 is the man of the moment - Robin Van Persie. He has bagged 8 goals and 4 assists in the Premier League so far this season. He only made a substitute appearance (and scored!) yesterday which hopefully means he will definitely start against Villa. United would not want to muck about, especially as they currently lead in the Premier League. He has scored or assisted in 8 out of 10 league matches this season. Scored 30 goals and assisted 13 in the league last season. He may be expensive (13.5) but is definitely worth it! By far the most consistent forward in the league. I did it! After four Gameweeks of having an extra transfer at hand I have finally used it. I wanted to get rid of O'Brien and mulled over many defensive options. I wanted an attacking defender and was close to signing Baines. However that would have been pricey. Instead I went for Huth, which could be a risk as I am doubling up with Begovic. But the fact is that Stoke's fixtures are reasonable for the next 8 weeks or so (see previous post). Moreover Huth possesses a formidable attacking threat. He may not have scored this season, but I am confident he is due a goal - his league strike rate for Stoke is 10% + which would make any central midfielder or winger proud. Wigan have conceded almost 2 goals per away match this season, which means that I will captain Defoe. As for the vice-captain's armband I have decided to give that to RVP following his heroics against Chelsea. Priced at a cheap 8.0 - Bargain!